PITTSBURGH—James R. Martin II, the Bob Benmosche Professor and Chair of the Glenn Department of Civil Engineering at Clemson University, has been named dean of the University of Pittsburgh’s Swanson School of Engineering, Pitt Provost and Senior Vice Chancellor Patricia E. Beeson announced today. 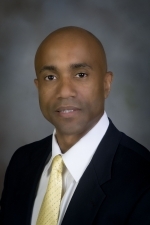 He will begin his deanship on Aug. 15. As department chair, Martin led the development of new curricula, establishment of new degree programs and forged new transdisciplinary research collaborations, having secured two institutional National Science Foundation (NSF) grants to implement innovations in engineering programs at Clemson and 60 other engineering schools across the nation. He also developed global partnerships, including a new dual PhD civil engineering degree program with top-ranked Tongji University in China. This program is similar to Pitt’s engineering partnership with Sichuan University. "A fierce champion of global partnerships and world-class research, Dr. Martin is perfectly positioned to lead the Swanson School's next chapter of success," said Pitt Chancellor Patrick Gallagher. "I am thrilled to welcome him to our University and I look forward to watching him elevate Pitt engineering and its role in Pittsburgh's innovation community." At Clemson, Martin also served as the founding director of Clemson’s Risk Engineering and Systems Analytics (RESA) Center, which serves as a transdisciplinary “collision space” for the interaction of cutting-edge research, academic programs and corporate partnerships. Under his leadership, RESA was founded with support from a long-term corporate partnership with the world’s largest insurance firm. He said there are many parallels between his experience and Pitt’s emphasis on research and innovation across all disciplines and sectors. Prior to Clemson, Martin spent more than 20 years at Virginia Tech on the civil engineering faculty and served five years as director of the Disaster Risk Management Institute. His professional career focused on earthquake engineering and risk assessment of natural hazards. He taught undergraduate and graduate courses in geotechnical and earthquake engineering, foundation engineering and disaster risk management, among others. Internationally recognized for his research on earthquakes, his work has contributed to improved earthquake building code standards in the central and eastern United States. He is regularly called upon to serve on field teams after earthquakes strike and was the team leader for the NSF-sponsored study of the 2011 earthquake in Virginia and Washington, D.C. He led similar studies in Turkey and Japan. Martin has served as an international earthquake engineering consultant on more than 100 major infrastructure projects for global corporations, engineering firms and government agencies. He earned a Bachelor of Science in civil engineering from The Citadel, and both a Master of Science degree and a doctorate in civil engineering from Virginia Tech. Martin has received numerous national, state and university awards for research, teaching and professional service, including the American Society of Civil Engineer’s Norman Medal, the highest honor for published work in his field. He was inducted into the Civil Engineering Department’s Academy of Distinguished Alumni at Virginia Tech in 2015. The University of Pittsburgh’s Swanson School of Engineering is one of the oldest engineering programs in the U.S. and is consistently ranked among the top 25 public engineering programs by U.S. News & World Report. The Swanson School has excelled in basic and applied research during the past decade with focus areas in sustainability, energy systems, advanced manufacturing, bioengineering, micro- and nanosystems, computational modeling and advanced materials development. More than 130 faculty members serve nearly 4,000 undergraduate, graduate and PhD students across six departments: bioengineering, chemical and petroleum engineering, civil and environmental engineering, electrical and computer engineering, industrial engineering, and mechanical engineering and materials science.